During his Scandinavian tour, Russian President Dmitry Medvedev spoke with Danish media about a host of issues ranging from Nord Stream to Iran to the next Presidential election in Russia. Steffen Kretz: Thank you very much for allowing us to meet with you to conduct this interview. We are looking forward to your visit to Denmark next week. Recently, Denmark approved the construction of the Nord Stream gas pipeline from Russia to Germany. What does this Danish approval of the pipeline’s construction mean for Russia? President of Russia Dmitry Medvedev: It is a reflection of the good relations and partnership that exists between our two countries. I should note that Denmark was the first to give us permission to lay the pipeline in its territorial waters. And it seems to me that this was a wise decision. Why so? Because the pipeline is not a project that only serves the Russian Federation or, for example, certain European countries that will receive gas directly from it. This is our common project and a profitable one for all of us. And, as I see it, your country really was the first to weigh up the pros and cons of such a decision and then making it. After that, various decisions were made by other countries, the five countries involved in the development of Nord Stream. So it seems to me that the Danish decision was a key factor in breathing life into the Nord Stream project. Just recently I was in Vyborg in the Leningrad Region near St Petersburg, and as a matter of fact we launched the Nord Stream there and began to lay pipes. So this project is becoming a reality. It is positive in all respects. It seems to me that the project will create additional opportunities for delivering gas supplies to our European partners. Everyone wants to diversify supplies and everyone expects to see sufficient energy sources – this is the first advantage. There is a second advantage, too: among energy resources, gas causes less damage to our atmosphere than, for example, coal. The conversion of a number of power plants and energy generating facilities to gas would be better for the environment. We are all very, very interested in this. And, incidentally, this is in line with the work that we and our Danish partners are engaged in and the issues we discussed at the conference in Copenhagen [on climate change]. Steffen Kretz: Some people in Europe believe that if it receives gas from Russia it will become too dependent on Russia. Others say that, on the contrary, Russia will depend on our money. Who is right and who will be more dependent on whom? Dmitry Medvedev: This is a very good question and one that has a very good answer. We will be interdependent. It will be the strongest dependency one can imagine. From Russia’s perspective it will be profitable and interesting to supply gas to Europe, and in this sense Russia will depend on Europe. But correspondingly, by receiving energy and gas from Russia, Europe will also be dependent on Russia. Who stands to gain more from this arrangement is a moot point because if treaties are signed and contractual obligations are fulfilled then it will be beneficial for both parties. And I’m absolutely sure of this. Steffen Kretz:Let me ask about Russia’s role on the international stage. A few decades ago there were two superpowers: the USSR and the US. What is Russia’s position in the world today? Dmitry Medvedev: It is very good that we have moved beyond a bipolar model because it hampered the development of mankind. At that time, both sides were mainly engaged in increasing their military capabilities. Naturally, this did not contribute much to progress. This is the first point. The second. Today, everyone agrees that the world should be multi-polar, this position is supported by all major economic players, major political forces, and major countries that have nuclear weapons. This is also the position of the Russian Federation. We want to be an organic part of the planet. We aspire to occupy a worthy place in this world, both in terms of economy and security, a place that corresponds to Russia’s potential, history and role in, for example, the foundation of the United Nations. But ours is not an exclusive place. We must understand that we are all dependent on one another and that the world is truly global. We must do as much as we can to reduce the potential of current threats: military, terrorist and environmental. And finally, Russia simply wants good relations with other countries, both large and not so large ones. Therefore we believe that Russia is an integral part of the modern world and we want to develop together with the rest of the world. Steffen Kretz:I would like to ask what face Russia should present to the outside world, as opposed to that of the Soviet Union? During the period of the oligarchs and the super-rich, this became the face of Russia. What face Russia should have today, do you think? 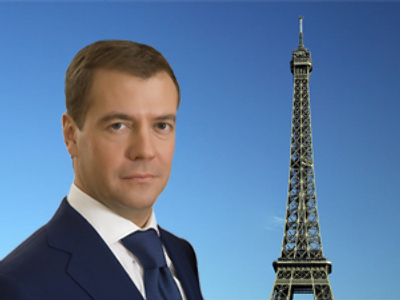 Dmitry Medvedev: The one that I have now: a smiling face. If this is the face of Russia, that of someone who smiles at other countries, I think that it’s the right one. But we must see smiles in return. We must not bare our teeth at anyone, get angry, sulk, or feel offended, pushed into things or into a corner, and react accordingly. This, of course, does not only depend on us, but I would nevertheless like to see Russia smiling and take the face of a young, modern person, in the sense that Russia is a rapidly developing economy. We are now engaged in the modernization of our economy, establishing its so-called innovative potential, manufacturing high-tech products. We are also trying to create a modern political system based, of course, on current political realities and our history. We created its foundations about 20 years ago by adopting the present Constitution and foundational documents. We are developing Russia’s political system, including its political parties. We must improve our legislation. Over the past few years a lot of things have been done in this field. I think that we have managed to create the framework for a modern judicial system. We must further improve the courts. In this field there are still a number of things to do, and even though courts act on the basis of quite modern legislation, their concrete application of given laws naturally requires improvement. Often, judicial skills require improvement as well. Judges must have the highest qualifications. But what I believe is most important in this regard is that people trust the awards that courts make. That is another component of Russia’s new image. And finally, and this is perhaps the most important thing, Russia should simply be a prosperous country where people benefit from all necessary conditions to develop and prosper; where there are adequate and, to the extent that it’s possible, high incomes and decent wages; and where people are able to organise not only their time at work but also their free time, and be able to vacation both at home and abroad. 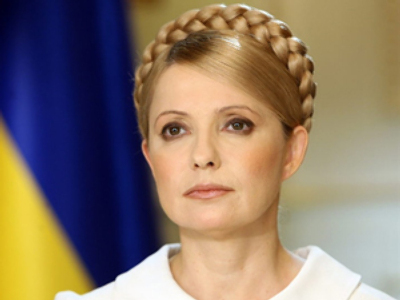 I, for one, would want Russia to present such a face. Steffen Kretz: In relation to what you just said regarding cooperation between Russia and the world at large, I want to ask two specific things. Last week, NATO's Secretary General proposed cooperation between Russia and NATO concerning the establishment of a missile defense shield that would cover not only Europe, but Russia as well. Can you say ‘yes’ to this proposal? legal order, who violate international law in some way, who are independently developing, for example, nuclear weapons programmes, or otherwise not complying with principles required for amicable international interaction, those which are currently accepted worldwide, then in this case, of course such a system of protection could be established. But this issue is absolutely concrete: it’s inadmissible to offer something and then say: 'Well, you wait somewhere out of the way, we’ll eventually design something and offer it to you, but in the meantime we’re building up our missile defense system’. Therefore, either we act together or don't be aggrieved that we have to react to this. Steffen Kretz: Concerning Russia’s relations with the United States. President Obama said that he pressed the reset button to improve relations between your two countries. Relations between Russia and the US will probably be so strong that you could even agree to sanctions against Iran? Dmitry Medvedev: Pressing such a button requires efforts by not just one person, but at least two, because such a button cannot be pushed by one hand at one end. This restart process is possible only if both sides participate, this is the first thing. Second, we really do have good relations with the new American administration, and I have a good personal relationship with President Obama. We are discussing a large range of issues. We recently agreed on a new system governing the balance of strategic nuclear forces and signed a new treaty on limiting strategic offensive arms. I think this is beneficial to everyone: Europe as well as, naturally, Russia and the US. And Iran is also a topic that we have long been discussing. As of yet Iran is not demonstrating the required restraint and is behaving quite irresponsibly. This, of course, is a sad fact. Therefore, if this situation continues, we cannot rule anything out, including sanctions. Of course, sanctions are a bad thing because they rarely produce results. But when all other means have been exhausted, why not? Steffen Kretz:Let me ask a few questions about the democratization and modernization of Russia. Just recently, there were popular demonstrations in different locations in Russia, demands that local authorities and governors leave their posts, calls for more democracy. The Kremlin currently appoints governors and heads of regions, and it was said that this will continue for a hundred more years. Why can't Russians in different parts of the country choose their local leaders? affiliation, and quality of life. And so it is important that decisions required on a national scale be consolidated. This was not always achievable with the previous procedures. After all, there is a historical tradition to this effect. So I do not think that the rejection of the direct elections of governors is a betrayal of the cause of democracy. It’s simply a change in procedure. Moreover, if in recent times our esteemed partners, including Denmark, are following political processes in Russia, they would know that I have dismissed almost 25 percent of the governors. Some because their terms had come to an end, some before that point. Therefore, there is no case in which, for example, a given regional leader is in his position for a long time but the authorities, I mean the supreme authority, the central government, the federal government, are indifferent to this. The process of rotating managerial personnel will continue. And, finally, the last thing about elections. In Russia, municipal authorities were and remain elected and chosen as they are throughout the world, while this is not always the case for regional governors. Given procedures depend on wishes and historical traditions. Steffen Kretz:Russia is a young democracy. Recently, a senior Kremlin official said that the democratic experiment could potentially draw divisive lines within the country. Are you not afraid that full and mature democracy in Russia would result in separatism? Dmitry Medvedev: You know, first of all, everyone is entitled to their own opinion. I will not comment on anyone else’s remarks. I have enough powers and capacities to make my own judgments. You see, we must absolutely avoid getting ahead of ourselves. This is quite obvious. In this respect, I do not think that we have the very lowest level of democracy. But we do not yet have the kind of democracy which has matured for 150, 200, 300 years and so on. I am saying something banal, but it’s still obvious: Russian democracy is only 20 years old. The Soviet Union was no democracy and Russia under the Tsar wasn’t either. That is why our statehood is more than 1,000 years in the traditional sense, and 20 years old when measured by democracy. This is the first thing. Second. We do not have to reinvent new democratic values for ourselves. In this sense, we are in the mainstream of global development. But it is natural that those democratic principles, the very tenets of democracy that exist in the world, should have some kind of national inflection. This is true everywhere, even in what is obviously a very much unified Europe. Parliaments differ from one another as do governments: there are presidential republics, parliamentary republics, and political parties differ one from another, too. In Russia it’s no different. The last thing I want to say on this topic is that democracy is a function of the development of a society and its economic institutions. So if our democracy continues to evolve gradually, peacefully, it will pose no threat whatsoever to the country’s survival or our national integrity. But if we try to jump over various stages, to introduce institutions that have no relation to our practical historical traditions then, of course, the situation could become unbalanced. I will not hide the fact that in the 1990s we had a problem with this when separatism was gaining momentum. The extreme forms of this separatism were in the Caucasus, but I hope and am absolutely sure that that phase is now over. Steffen Kretz: Let me ask another question, one that’s been asked many times, but is still of interest. You might stand as a candidate in the next presidential elections, and Mr Putin has also announced the possibility of his candidature. After all, who will be the candidate for the presidency in the upcoming elections? Dmitry Medvedev: Well, two citizens have already declared that they will stand as candidates, and I’m sure that there will be others who will be announcing their intentions to stand. What’s wrong with that? This is a democracy. Would you prefer that one person in our country said ‘I am going to be a candidate and the rest of you had better not rock the boat’? So I think it’s normal. Steffen Kretz:I remember that you said in your speech of September 15, 2009 that you would be making this decision in conjunction with Prime Minister Putin. Why do you need this sort of coordination if you want to stand for President? Dmitry Medvedev: I will explain why such coordination makes sense. Mr Putin and I represent the same political force and our approaches to the country’s general development are very similar. Let me remind you that I worked with Vladimir Putin as head of the Presidential Executive Office in a Government Cabinet that he appointed. In this sense we don’t represent what you might call a left and right flank. Between two such people this sort of coordination would indeed be strange. People would say: why are those two getting together to choose a single leader, and indeed this sometimes happens. But he and I share the same political convictions, so between us, coordination and consultation are essential. Steffen Kretz:With reference to the terrorist attacks in Moscow, you said that economic development can be used as a weapon in the Caucasus to fight terrorism. What is your view on the problem of overcoming the terrorist threat? basis, a moral foundation. This includes general notions of morality as well as those derived from religion, from those religions that exist in the Caucasus, namely Islam and Christianity. So the need to appeal to moral values, religious values, seems to me extremely important to ensure that those very values are not usurped by terrorists, whose acts are a direct contradiction of Islamic and Christian values. Fourth and finally, we need a genuine economic revival. We need to increase the number of jobs and create normal, comfortable living conditions for the large numbers of people who live in the Caucasus. Let me cite a single figure. We are currently considering a new investment programme for the Caucasus. The set of investment proposals that we are examining amounts to approximately 5.5 billion euros. If these investments are implemented, I hope they will result in a significant number of jobs, hundreds of thousands of new jobs. Unfortunately, the unemployment rate in the Caucasus is very high. So those four conditions could radically change the situation. Steffen Kretz: Thank you for that very detailed answer. How would you describe the differences between your leadership style and that of your predecessor as President? Dmitry Medvedev: You would know better than I, or at least it’s a question that should be dealt with by political scientists. Russian citizens are no doubt better able to answer this than I am. It’s difficult to assess yourself, and it’s a thankless job, too. But, of course, despite the similarities in our circumstances we have had different experiences, and we may have different views on some of the nuances as to how our political system should develop. This is true even, though Vladimir Putin and I received the same education: we graduated from the same Law Department in St Petersburg State University. Incidentally, this actually helps us to communicate because, after all, receiving the same education has given us a common language. Sure, there are obvious differences of style. Well, thank God, everyone’s different, everyone has their own ideas. So it’s better if you try to answer this question yourself. Steffen Kretz:We are looking forward to seeing you next week in Denmark. Relations between Denmark and Russia have been a bit cool for a while. What are you hoping for? Are things going to warm up a bit? What do you expect your visit to Denmark to achieve? Dmitry Medvedev: First and foremost I’m hoping for good weather to ensure that our aircraft lands safely in the Danish capital, in Copenhagen, so that we can get to work. And secondly, of course I would like Russia to have cordial, productive, full-fledged relations with Denmark, one of our important partners, a country with whom we share many common historical experiences, as well as a very good set of business relationships. It is for this reason I hope that, after my state visit, our cooperation will move forward on all fronts. In terms of business cooperation, I will be having a separate meeting with the CEOs of some major Danish companies. It is always important for company leaders to get a look at the president of the country with whom they’re doing business, the country they’re planning to invest in, and to hear some reassuring words, because investment is always a risk, even in those countries that have been investing in Russia for a long time now. Generally speaking, it’s only now that we are developing the appropriate conditions for investment. I’m happy to admit that, because we really do want to create a proper investment climate. Secondly, there’s the cultural and educational dimension of our relations. We should cooperate on all issues, discuss a wide range of subjects. And I’m never reluctant to discuss the most difficult questions, because such discussions are the only way to get at the truth. The main thing is that no one should claim to have exclusive access to this sort of truth. Of course, I expect that my visit will facilitate interpersonal contacts, contacts between civil society organisations and among ordinary people, and simply stimulate the flow of tourists more generally. I think this is also very important for mutual understanding. these enterprises, to reassure them, to make them more confident about the future of their investments? Dmitry Medvedev: Without a doubt I’ll be saying this to them in person, but I’m happy to use this interview to make the same points. First, I would tell them that we are eager to have them and are glad to see them. Secondly, I would say that, of course we will attempt to eliminate those deficiencies that currently exist in our society and our governmental structures. And not simply or exclusively because we want to appeal to foreign investors, but because it is necessary that we create conditions for a modern, comfortable life in Russia, something that you and I have already discussed. And, thirdly, our government will make every effort to protect Danish investors, as well as those from other countries. We will improve legislation, we will improve the implementation of this legislation, we will develop our system of judicial protection. Steffen Kretz:Russia has historically been located between East and West. If we talk about the fact that Russia is looking to the future, which is more important for Russia in terms of economic development and in general, East or West? Dmitry Medvedev: That is a rhetorical question. I am sure that you are ready to receive a completely obvious answer. Of course for us, good relations with our Western, European partners are very important. We are part of European civilisation, and we cherish those relations. Our trade with EU countries alone amounts to $250 billion, which is quite a sum. But relations with our Eastern friends are very important for us too, because Russia is indeed part of both the West and the East. And, of course, we will work at developing business, political and other relations with our Eastern partners, all the more so now that several regions in the East are developing so rapidly, and there is such a flood of investment there. We want to actively develop our business relations with them and we plan to do this in every way possible. Steffen Kretz:Mr President, thank you for such interesting answers and for being so patient with my questions. I am looking forward to seeing you on Tuesday. Dmitry Medvedev: I, too, am very much counting on seeing you again and I wish you a safe trip home.